The 1888 building housing Immersion Active is historic and awesome to be inside with pressed tin walls and ceilings 11 feet high. The Frederick Maryland company does digital marketing that targets baby boomers and placed its conference rooms where executives thought they made the most sense. But the walls and ceiling create an echoing effect and the single-pane windows face Market Street, which sees a lot of traffic. Conference calls were not easy. Clients complained they couldn’t hear and if a fire truck went by, they had to stop the call. “It was embarrassing,” said president and co-founder David Weigelt. Since the windows face West, they also bore the brunt of storms, rattling in the wind and drafty. With the building located in a historic district, replacing the windows would require approval from the historic preservation commission. 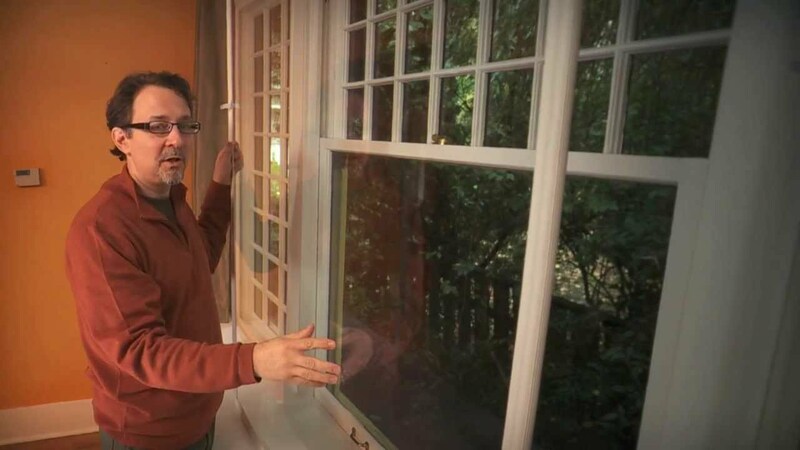 A contractor warned David that between winning that approval and the cost of new wood replica windows, they were in for quite a project that could run $100,000. Then a client suggested Indow inserts. Edged in silicone Compression Tube, they don’t have a damaging track or magnetic system. Indow dealer SuperGreen Solutions laser measured the 13 windows and helped them move the blinds, which “way exceeded my expectations,” said David. The difference in the comfort of those rooms is striking. “Now people gravitate to those rooms because they’re so quiet compared to the other rooms,” said David. He plans to install more Indow inserts: a 30-ton HVAC system on the side of the building makes a loud hum and is especially distracting in the summer when the air conditioner kicks on and off.